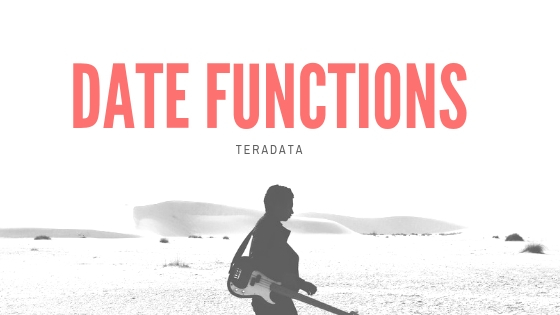 There are four hash functions in Teradata.These are pre-defined functions in Teradata. Details: Returns the hexadecimal row hash value for an expression or sequence of expressions. If no expression is specified, HASHROW returns the maximum hash code value. Details: Hashmap defines the correspondance between Hashbucket and AMP. The size of Hashbucket is corresponds to the number of busckets available in the system. Details: Returns the identification number of the fallback AMP corresponding to the specified hash bucket. If no hash bucket is specified, HASHBAKAMP returns one less than the maximum number of AMPs in the system. Details:Returns the identification number of the primary AMP corresponding to the specified hash bucket number. If no hash bucket number is specified, HASHAMP returns one less than the maximum number of AMPs in the system.